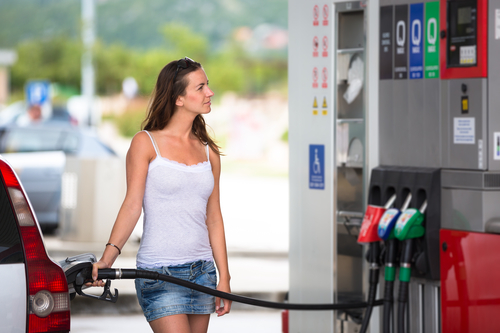 Whether you’re on a family road trip or on the way to work, at some point, you’ll have to stop for gas. And if you need a drink or a snack, you’ll likely step into the nearest convenience store. How did these handy shops come to be? Tri-Mart BP in Tripoli, WI, shares a brief history of the one-stop shops. It’s likely that the first-ever convenience store was created in the 1920s when Southland Ice Company began selling groceries to people purchasing ice on their way home after work. While you’ve probably never heard of that particular shop, you’ve definitely heard of the behemoth it became: 7-Eleven. The original “store” was simply one employee offering milk, bread, and eggs so that people didn’t have to go to the grocery on top of their already busy schedules. Over the next decade, convenience stores popped up across the globe selling items unique to their locales. From “I heart New York” sunglasses in Manhatten to curry spices and pho noodles in San Francisco, there are no two convenience stores that offer the same products. The majority of these stores located near major roadways sell gas, and some offer a variety of fresh goods and retail items like fried chicken, tourist memorabilia, and snacks. According to the National Association of Convenience Stores, there are currently over 154,000 convenience stores across the U.S. that account for 10.8% of the country’s food service and retail sales. You can find them in many forms, from massive truck stops on the sides of the highway to little corner bodegas in big cities. They all have one thing in common: ease of access. You can pop in for a cup of coffee, a sweet treat, and conversation at all hours. The next time you go to your local corner shop for tasty cold treats on a hot summer day or stop in to grab gas on your way out of town, think back to the very first convenience store that sold only the basics. These shops have come a long way! To learn about the 20-year history of Tri-Mart BP, call (715) 564-2440. Visit the website for information on their propane services, well-maintained facilities, and the extensive selection of drinks and snacks.